**24 Hour Notice for all showings**5 bedroom home in downtown Danville. It features: 2 full Baths, 2nd floor laundry, 1st floor bedroom w/full bath, large living and dining room, off street parking for 2 cars. Call Suzi Hartman. 570.594.5051. 20.85 acres with house. House is not habitable. Land on north side of Mutchler Road. 1 acre home site, 6+/- tillable acres, balance woodland. Please note site is within walking distance to MLS#20-74326 which is an additional 47 plus acres with 26 tillable listed at $329,900.00. Final subdivision & perc test documents are attached in documents. Taxes to be determined. Excellent view, prime location between Danville and Elysburg. Call Scott for more details. 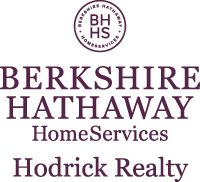 Agents please phone 570-275-2121 to schedule showings.